One of the most frequently asked questions of business owners is regards to their corporate structuring, such as corporations, LLCs, partnerships or otherwise. Find out about the best business structure for bookkeeping and tax practices with help from a money expert, sought-after speaker, best-selling author and President and CEO of Live Out Loud, Inc. in this free video clip. When you think of a leader there’s a certain set of skills that you commonly associate with that behavior. Find out how decision trees can be used for making business decisions with help from a money expert, sought-after speaker, best-selling author and President and CEO of Live Out Loud, Inc. in this free video clip. “Thank you, Thank you, Thank you for taking me out of my comfort zone this past week. It was the best move you could have made making me leave my husbands side for the whole workshop. I learned so much about myself and what I am capable of in your 3d2c workshop. Your staff was fantastic to work with and did a wonderful job. I was amazed at how much I learned about myself and what I can do on my own when I’m pushed to do it. We both came home with a whole new attitude and hit the ground running on Monday morning and we haven’t stopped yet and have no plans to do so. I LOVE BEING AN ENTREPRENEUR AND HELPING PEOPLE CREATE NEW LIVES DAILY!!!! Business modeling and plans are key factors to success of any new and growing business. Find out about training center business models with help from a money expert, sought-after speaker, best-selling author and President and CEO of Live Out Loud, Inc. in this free video clip. 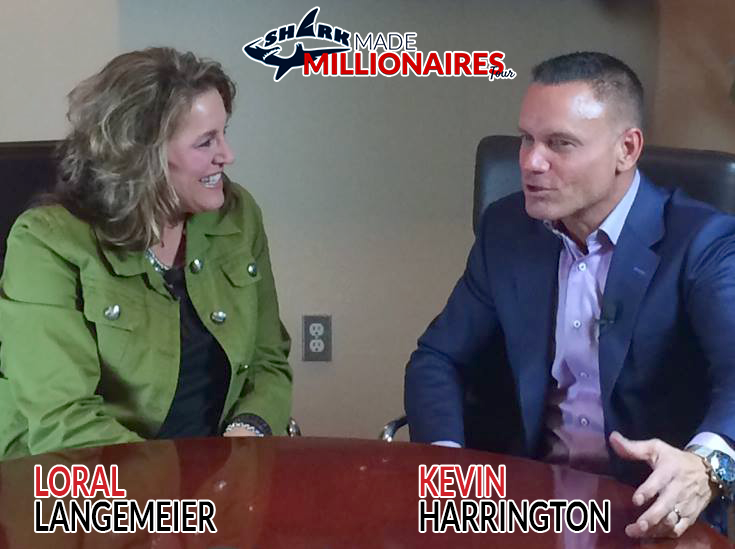 The godfather of infomercials Kevin Harrington and I will be in San Francisco this Tuesday for the next stop of our Shark-Made Millionaires Tour! I’m teaching you how to sell what you know, and he’s teaching you how to market what you know to the masses & secure funding from a shark! It’s going to be awesome, come check us out if you’re in the area…totally free!